The Uffizi Gallery director, Eike Schmidt, in an interview with Italian ANSA press agency, said: «It would be nice to be able to open the «new» Vasari Corridor to the Uffizi public on May 27th, 2018, the day of the 25th anniversary of the the Via dei Georgofili bombing. On the anniversary of this tragedy, we could launch a great message of courage against the Mafia: the message of a museum and a city that are open and are not afraid of organized crime». In 1993, a bomb exploded in Via dei Georgofili, and it caused the death of five people and the injuring of other 40. 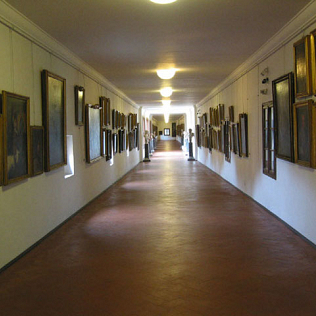 The first part of the Vasari Corridor and some spaces of the Uffizi Gallery were damaged. Some works of the museum were badly damaged: in some cases, the researchers preferred - during restoration - not to completely erase the traces of the bomb blast. In this way, some artworks have become witnesses to human and mafia violence. Currently, the Corridor is closed for security reasons. However, the authorities have granted partial opening, for small groups. During the autumn the upgrading work will start: some emergency exits will be created and self-portraits will be moved to the Uffizi. Many news for the Vasari Corridor, that is still the subject of an interesting debate. The idea of ​​a so deep meaning, linked to the reopening of the space is definitely very important for the history of the Italian museum.